We’re spending more and more of our waking hours at the keyboard, and efficiency is key when it comes to repeating the same boilerplate steps multiple times a day in emails, document files, web searches and more. Type more with less effort with TextExpander 5 for Mac – a shortcut tool which saves your fingers and your keyboard, expanding custom keyboard shortcuts into frequently-used text and pictures. For a limited time, you can get it on TNW Deals for just $22. 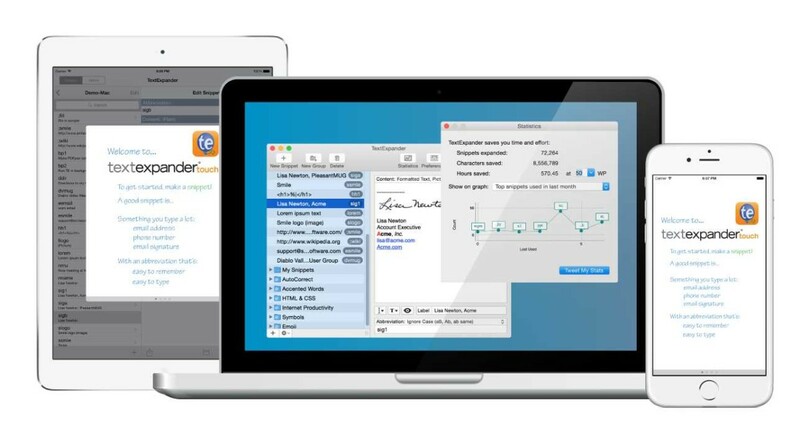 Smile, the developer of productivity applications for Mac, iPad and iPhone, has released TextExpander 5 for Mac, a major upgrade to the popular typing shortcut tool, which lets you type abbreviations that expand to whole paragraphs, images and more. The tool is an invaluable time saver, with custom expandable abbreviations for email signatures, standard greetings, formatted text and pictures. You can finally breeze through those tedious forms requiring your address, email, phone and fax numbers – just add them to your snippet library and call them up with a handful of keystrokes. Turn the typos that trip you up into snippet triggers and watch TextExpander magically unfumble your fingers. TextExpander also includes the TidBITs AutoCorrect Dictionary containing more than two thousand common typos, with autocorrect libraries in English, French, and German. For a limited time only, TNW Deals is taking 31 percent off for a total of just $22.